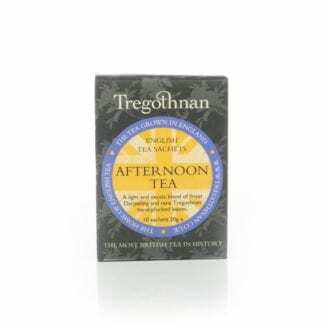 Our Afternoon Tea teabags contain a light and exotic blend of unique hand-plucked leaves from our Cornish estate with the finest tea from Darjeeling (Tregothnan’s twin). 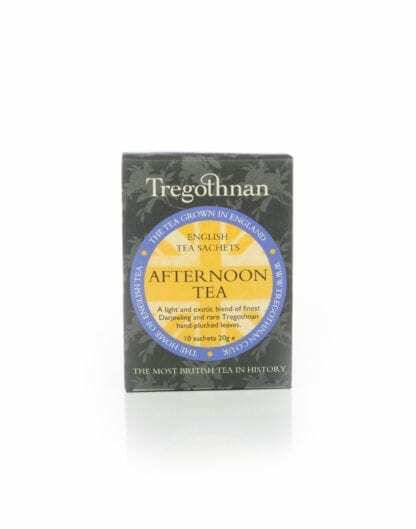 Quintessentially British, our Afternoon Tea teabags are delicately refreshing with invigorating citrus notes. This lovely box contains 10 individually-wrapped foiled sachets of our delicious Afternoon Tea. We think this brew is best savoured around 3pm (with a Cornish cream tea, of course!) – but it is equally as delicious at any time of the day. 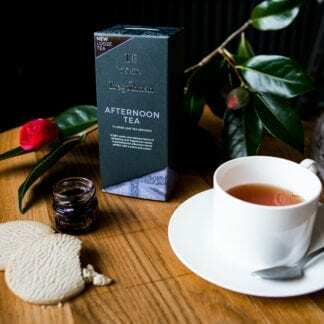 How true these words from Henry James are: “There are few hours in life more agreeable than the hour dedicated to the ceremony known as afternoon tea” – Portrait of a Lady. 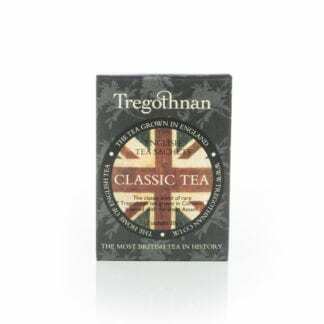 A delicious blend of hand-plucked Cornish Tea from Tregothnan and the finest Darjeeling Tea from the gardens of India, renowned for creating ‘the champagne of teas’. This tea is dairy free, gluten free, and suitable for vegetarians and vegans. For perfect brewing, use filtered or bottled water just off the boil. Brew for 2 to 4 minutes depending on how strong you like your tea – we recommend 3 minutes of steeping time before tasting. Afternoon Tea can easily be overwhelmed by milk. If you are not used to drinking your tea ‘black’, do try it – you will be surprised by the difference.